Ever since a challenging start in 2009 doing battle with squirrels (who knew? 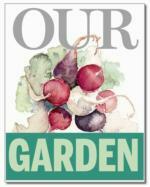 ), Our Garden has bustled with activity, lectures and demonstrations week after week. Even after losing the original location, our traditions have continued in a new location that had its grand opening on April 4, 2013. Be sure to visit us each week for our in-the-garden public outreach, offering free programs and help every Wednesday and some Saturdays from April through October. For a look back, the challenges and triumphs of Our Garden's first year are chronicled in the article and photo gallery below. Article courtesy of the Contra Costa Times. By Joan Morris, Contra Costa Times. Originally published November 7, 2009. With the broccoli, cabbage and kale getting larger every day and the cover crop tickling our knees, it doesn't feel like anything is slowing down in Our Garden. But with the approach of winter and rain, we are closing the public gate on Our Garden for the season, halting weekly gardening classes until March. It seemed like a good time to look back at our little experiment, at our successes and failures — both of which were abundant — and give a peek at what is to come. We broke ground — no easy feat considering the garden plots had been fallow for almost a year — in April, not knowing if anyone would turn out to join our endeavor. We were filled with good intentions, an abundance of knowledge and enthusiasm, but little else. 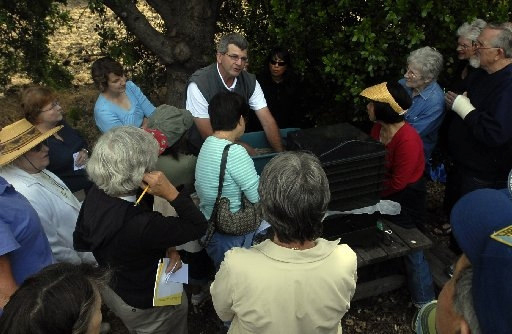 That first class, with a demonstration of double- digging, drew about 70 gardeners with varying levels of experience. Like bees to the pollen, they swarmed the neglected beds and dug in, turning not only the soil but feeding the desire to garden. 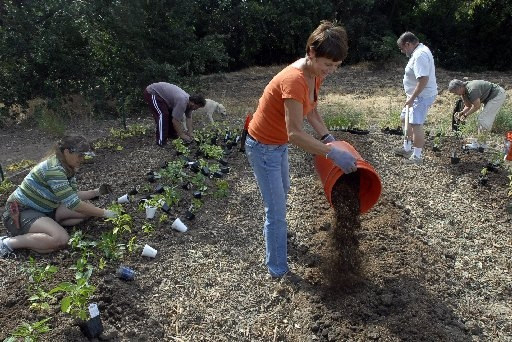 The original plan was to install a demonstration garden that would use best-practice gardening methods — water management, organic insect control and composting. The Contra Costa Master Gardeners [editor's note: since renamed the UC Master Gardeners of Contra Costa County], who have adopted Our Garden as their own, planted and tended the spring and summer garden, and each Friday we had a class on a different gardening topic, from tomatoes to worms, bio-intensive to bees. 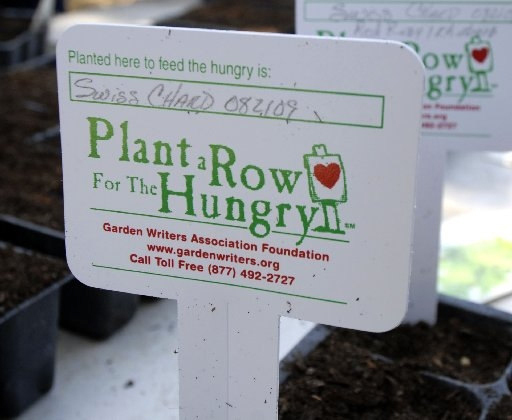 At the same time, we became part of the "Plant a Row for the Hungry" national movement sponsored by the Garden Writers Association to help feed the hungry in our own neighborhoods. All the produce we harvested, plus that from other gardeners who added their bounty to ours, was donated to the Food Bank of Contra Costa and Solano. By the end of October, we had donated 389 pounds, a number made more impressive by our late start and the onslaught of ground squirrels that at times devoured faster than we could plant. "This garden is gorgeous, amazing," says Joan Tomasini, food drive coordinator at the food bank. Produce donated to the food bank is sent out almost immediately to those in need. In Contra Costa County, the food bank feeds 76,000 people each month, mostly the working poor and newly unemployed. What we hadn't known, however, was that in addition to our contributions, we were also planting, nurturing and growing a thriving community of gardeners. 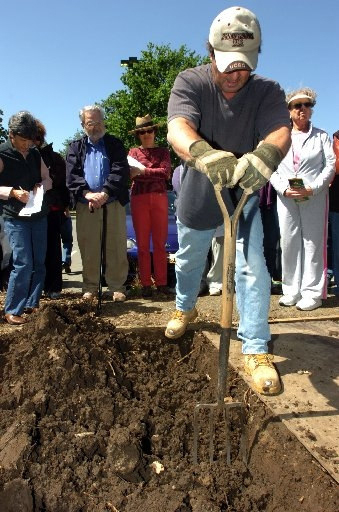 "I was surprised by the dedication of the Master Gardeners," says Jack Rich of Walnut Creek. "It's nice to be around people like that. They're excited by what they're doing and you get excited." Rich, a longtime gardener, was one of the Our Garden regulars who rarely missed a class. 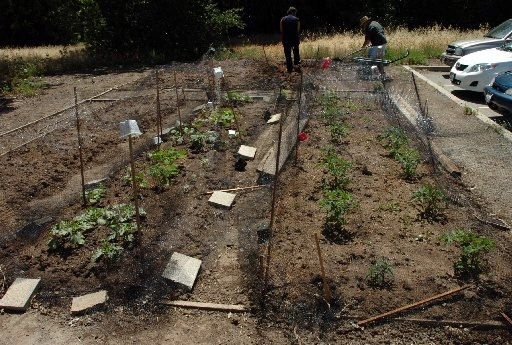 "I learned more on planting tomatoes in one hour than I had in 70 years," he says. "I can't wait until next year and for the classes to start up again." David Rounds, publisher of the Contra Costa Times and Oakland Tribune newspapers, says the project has illustrated that "our newspapers are more than just news, opinion and advertising. We strive to be integral and indispensable members of the communities we serve and Our Garden represents the best of this ideal," Rounds says. 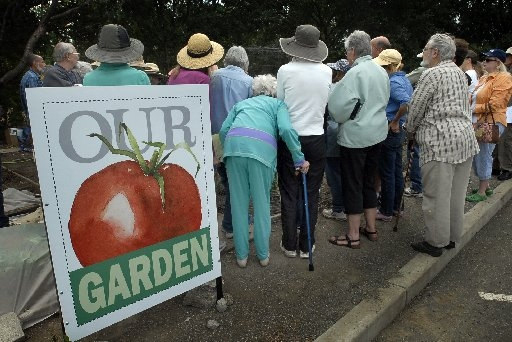 "It has been wonderful to watch this partnership between the Master Gardeners, the business community, the Food Bank and our readers grow and develop. Thanks to everyone who contributed to making this program a success." 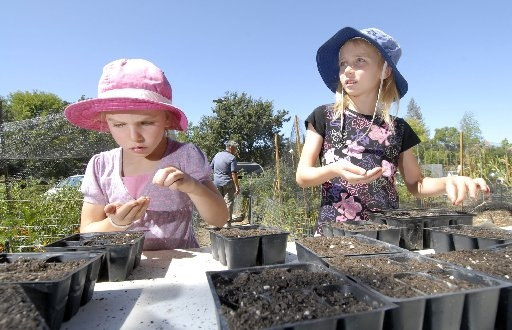 Emma Connery, Program Coordinator for the Contra Costa Master Gardeners, says Our Garden has become the "perfect venue" for what Master Gardeners is all about — face-to-face education to the community." 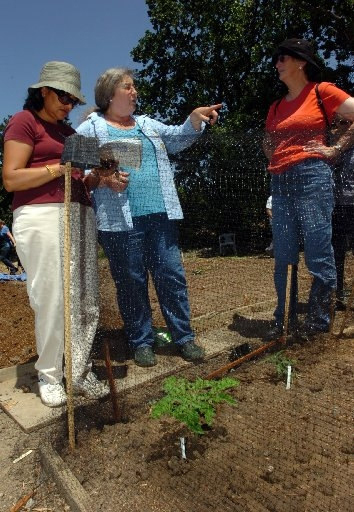 The Master Gardeners gave live demonstrations of gardening techniques and were there to answer specific questions from the public on composting, vegetable garden preparation, irrigation, rodent proofing, food harvesting" and more, Connery says. "Seeing a live demonstration has a greater impact on understanding than reading it from a book." And the public seems to have agreed. We never had a class with fewer than 40 people; many times we pushed the 100 mark. 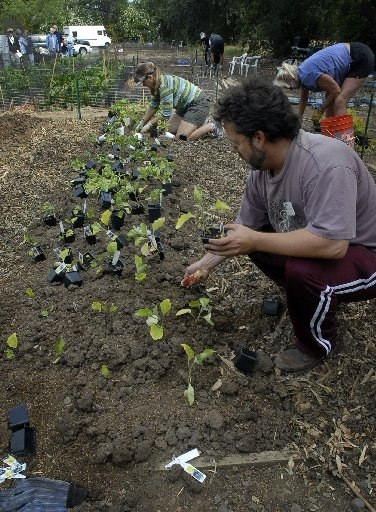 Although the education portion of Our Garden is on winter break, we'll continue to grow. As the winter progresses, you'll still be able to follow our progress in monthly reports on how it's growing, what we're producing, and whether the squirrels learn how to turn off the fence power. And the countdown to spring starts now. 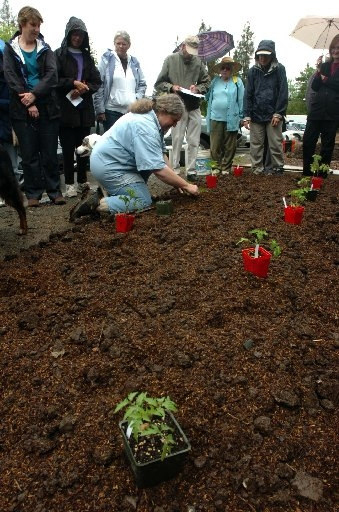 April: We break ground with a demo of double-digging and amending the soil, and we plant our first crop — tomatoes. The next day, there is no sign of a single tomato. Surprise! We have ground squirrels. Thus begins the long, futile battle against the invading horde. May: We replant. And replant. And replant. Then we put up a chicken wire fence and cover it with netting. The squirrels are hardly bothered. We add squash, corn, beans and cucumbers to the garden, and some survive. June: More replanting, but the sheer number of donated plants seems to keep the squirrels from eating everything in one sitting. The netting is moderately successful, but it creates two problems. The bees aren't interested in squeezing through it, and securing it so tightly against the squirrels makes it difficult for the volunteer gardeners to get in. In happier news, CK Management Systems installs an irrigation system for us. July: The corn is trying to burst through the netting. We try another scheme against the squirrels, testing various anti-critter sprays and applications. We also erect a second fence. This one has spikes to keep the squirrels from climbing over. No one tells the squirrels, however, and as our tomatoes ripen, the squirrels feast, leaving dozens of uneaten tomato carcasses strewed about the garden. Somehow, we harvest corn for the first time. 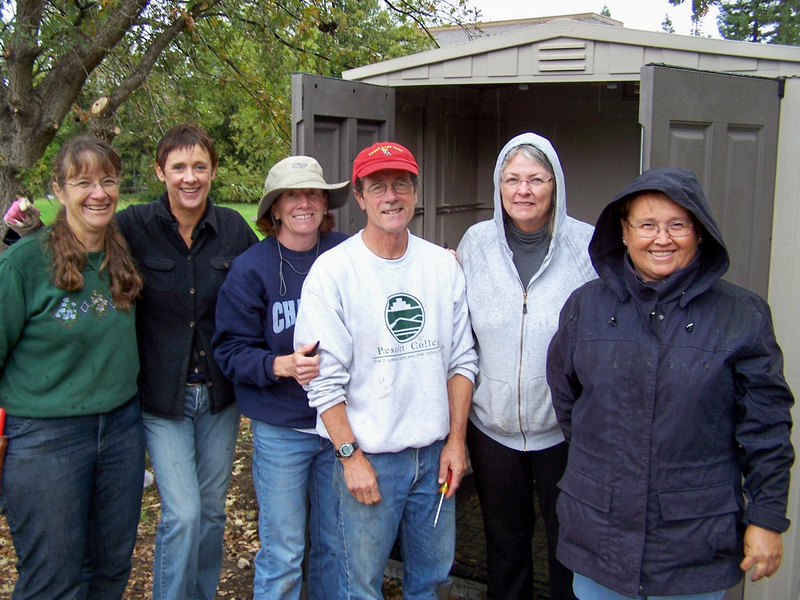 August: With Our Garden volunteers teetering on the edge of squirrelicide, CK Management rides to the rescue again. The parent company, CK Landscape, offers to install a more secure fence. We cheer, the squirrels gnash their teeth. By this time, all we have left are tomatoes and peppers. September: The fence works tremendously well keeping out the squirrels, but after a while, they figure out they can just scale it and dine on our tomatoes. We buy an inexpensive battery-operated anti-critter electric wire to run around the top of the fence. Perfection. The squirrels are kept at bay, and even our squash returns for a burst of late summer production. Just in time. October: Out with the old, in with the new. 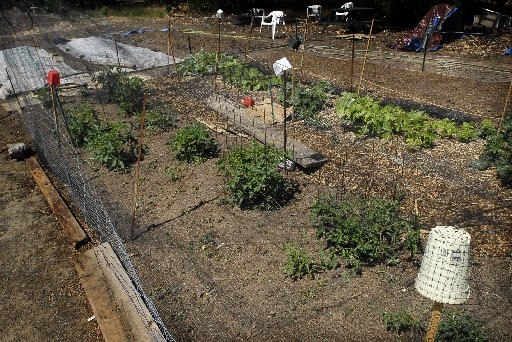 We pull out the summer garden and plant a winter one with broccoli, cabbage, bok choy, turnips, beets, carrots and peas, plus a cover crop to improve the soil. Despite their best efforts, the squirrels are defeated. Our Garden, finally, thrives.